Top Texas restaurants and food retailers need experienced local distributers they can trust. Quality at a fair price. Waco Beef & Pork provides the top selection of wholesale meat, cheese, seasonings, and sausage supply. Cured meats. Smoked cheese. Turkey and chicken. Bulk orders for retail sale. Deli sliced and prepped. Waco Beef & Pork Processors: More than a meat packing company – the best wholesale meat and restaurant supply in Waco. Meat sales and delivery professionals, prepared to deliver to your location throughout central Texas. Refrigerated trucks that deliver everyday. Same and next day delivery for rush orders. Waco B&PP meat and Holy Smoked Sausage! are featured on the menus of restaurants across Texas. Waco B&PP USDA Prime and Choice steaks, cutlets, and ground beef are featured at top steakhouses. Proud to be one of the top local meat suppliers. Old World techniques. Big Texas flavor. Over 2 decades of experience bringing the best to the Waco area. 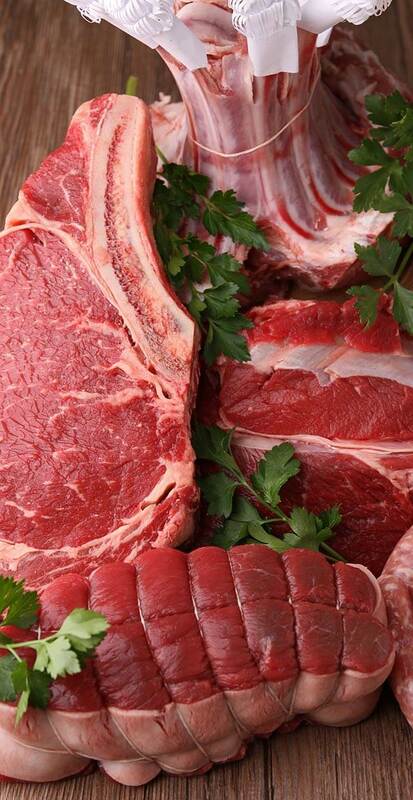 We offer the top selection of bulk meat choices, pre-prepared for your commercial kitchen. Premarinated Beef Fajita Meat: Restaurant prepped with seasoning. Premarinated Chicken Fajita Meat: Restaraunt prepped and seasoned. Sausage on a Stick: Mildly seasoned sausage to cook and serve. Lollipop Chicken Wings: Specialty cut seasoned raw chicken wings. Proud to be one of the top local meat suppliers. The best beef in the country is USDA Prime beef. Less than 3% of beef is graded as Prime. Waco Beef & Pork Processors specializes in Prime beef and Choice beef. Top excellence and best quality for all tables in central Texas. Top cuts for your kitchen, restaurant, catering service, or deli. Fresh or frozen. Seasoned or cured. Top selection of Certified Black Angus Beef and Certified Angus Prime Beef. Specialty cuts and 100% organic beef available by special order. Top wholesale beef supplier for the best central Texas BBQ beef restaurants. Best beef short ribs. Selection of the best specialty homemade beef jerky and beef meat snacks for bulk order and individual retail sale. Best fresh and frozen ground beef restaurant wholesale suppliers. Various fat contents for custom lean ground beef. Top ground beef for commercial sausage production. Top selection of beef variety meats, trimmings, and offal, including organs, tripe, and oxtail. Full service beef processing and meat packing company. Certified Angus beef distribution throughout central Texas: Waco Beef & Pork Processors. Tender, finely crafted, flavorful. Pork cuts from experienced butchers. Lean cuts ready for commercial processing and distribution. Restaurant cuts ready for your commercial kitchen. Our butchers offer a selection of the finest cuts of commercial and specialty pork. Top meat distributors of pork spareribs in central Texas. Enjoy the best BBQ meats with top grade pork ribs. Best fresh and frozen ground pork restaurant wholesale suppliers. Top ground pork for commercial sausage production. Fine and coarse ground pork to your specialty order. Top selection of pork sundries, trimmings, and offal, including organs, skins, and fat. Full service pork processing and meat packing company. Top quality meats throughout central Texas: Waco Beef & Pork Processors. Savory, spicy, sweet, and hot. Sausages from experienced Masters. Ready for your commercial kitchen dishes. Our sausage masters offer a selection of over 30 varieties of fresh and smoked sausages. Old World recipes with a Texas twist. New World and American sausages in all the top flavors. Makers of Holy Smoked Sausage! Top cuts of beef and pork. Coarse and fine ground. Natural casings. Traditional spice blends. Finest ingredients. But our special ingredient? Care and dedication. We know what makes sausage great. Poultry is a staple in the American diet. The tender white meat and savory dark meat belongs in so many dishes, served countless ways. Waco Beef & Pork Processors: offering the best selection of fresh and frozen chicken and turkey of any central Texas wholesale meat companies. We offer bulk preseasoned fajita chicken and ground chicken for commercial kitchen use. For specialty menus and gourmet recipes, we offer bulk chicken giblets, including chicken hearts and livers. We offer the best fresh, frozen, and smoked wholesale turkey selection all year long. Whole Turkeys prepared to your specifications. Turkey Legs seasoned and smoked if you need. 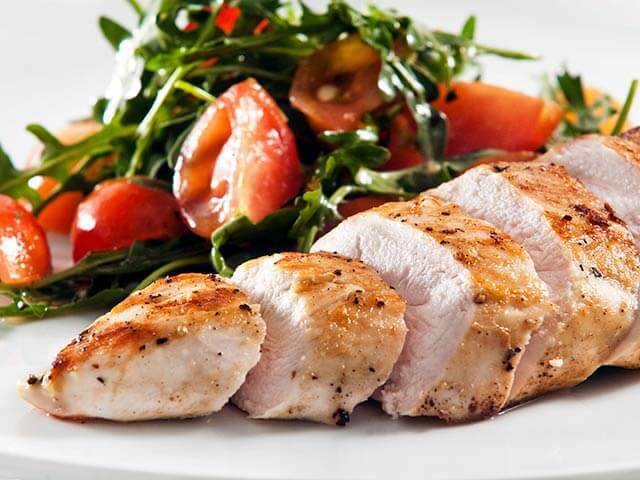 Boneless Turkey Breasts for top gourmet menu items. We are one of the few wholesale meat distributors in central Texas to offer top-grade ground turkey and turkey giblets. Colby Cheese: Original to Wisconsin, Colby cheese is a popular yellow cheese with a mild, sweet flavor. Smoked Cheddar Cheese: Rich, tangy smoke flavor enhances sharp cheddar. Smoked cheddar cheese pairs perfectly with Texas barbecue. Cheddar Cheese: White and yellow, with flavors from mild to extra sharp, cheddar cheese is America’s most popular cheese. Brick Cheese: Created in Wisconsin, Brick cheese is a mild yellow cheese. Mozzarella Cheese: Soft, sweet, and moist white cheese. Serve fresh or preserved. Top pizza cheese choice for authentic Italian taste. Provolone Cheese: A soft, sweet white cheese. A staple of delis and pasta dishes. Medium yellow cheese with a “nutty” flavor and distinctive holes. We offer special orders on cheeses from around the world. 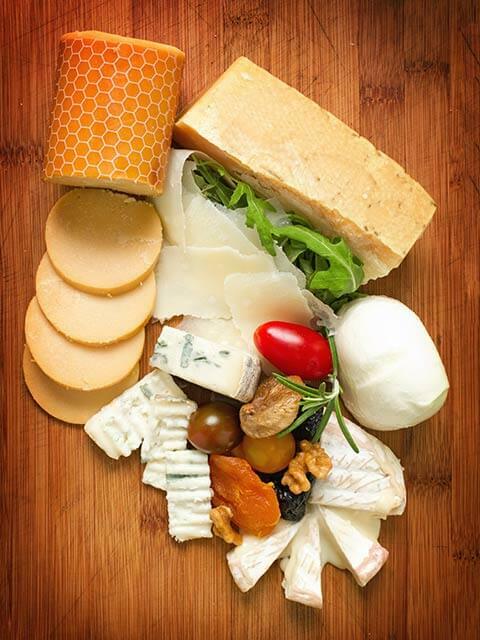 Specialty gourmet cheese options for restaurants or catering menus. Waco Beef & Pork Processors: Top meat suppliers for restaurants providing best flavors of international and American cheese. Waco Beef & Pork Processors is proud to provide the local meat processing community with top quality all-natural and collagen sausage casings. We process and prepare hog and beef sausage casings and middles. Varying diameters and lengths. Full sausage casing supplies. We deliver within central Texas. Top bulk meat suppliers for consumers and other local meat purveyors: Waco B&PP. Call with questions about sheep casings and special bulk orders. We offer bulk orders of beef and pork variety meats, trimmings, tripe, organs, and offal, including pig’s feet. We offer poultry giblets and turkey necks, oxtails, organs, and more. Top Meat Wholesalers. Top Local Selection. Waco Beef & Pork Processors has been a part of the Waco community for over 20 years. We are proud to bring the tastes of the world to tables throughout central Texas. Special orders welcome. We care about your business. We care about what you eat.